Online marketing goes viral and it requires a lot of valuable content. When it comes to creating this content online, there are plenty of options to help you manage it quicker – do your graphs vivid, tables comprehensible, infographics – vocal. With target audiences of businesses shifting online and getting more and more educated, top-notch content is no longer an option, but a critical condition. It becomes the essence of how the company is perceived as well as the best commercial. In the variety of tools and offers, there are pieces worth your attention. So I decided I select some of the handiest, most effortless and user-friendly content marketing tools that will help you craft nice visual highlights of content. Except for creation, I included content curation apps, correcting errors ones and a couple more. A little disclaimer: these will include both the web and mobile apps for marketers and, what’s important, they are all FREE. 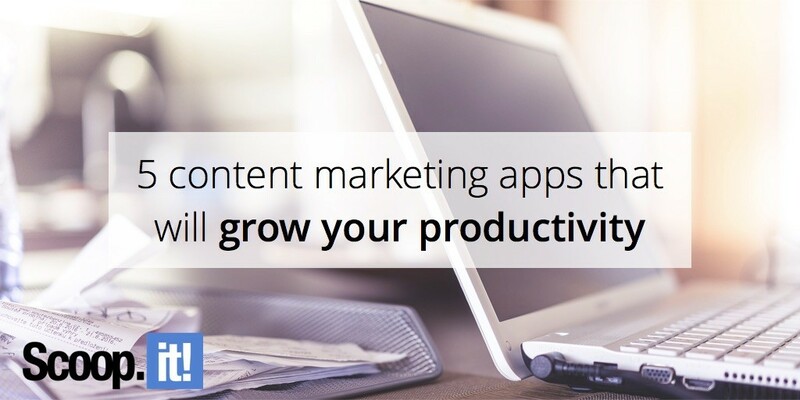 This one goes to productivity type content marketing apps. If you’re going to hit social media with the branded content or create a separate platform like blog, website or channel, you’ll need a Buffer content marketing app to help you schedule all your tweets, blog post updates, and videos. Chances are, your folks are by absolutely different time schedule and they sleep while you’re living your day and creating your posts. So with Buffer, you don’t need to stay in late to post it the minutes when your audience is logged on. Just set the time to post and you’re done! Buffer is usually called a social media app or assistant or even robot. And all is true because it’s a super useful tool which takes your social media management experience to the next level. 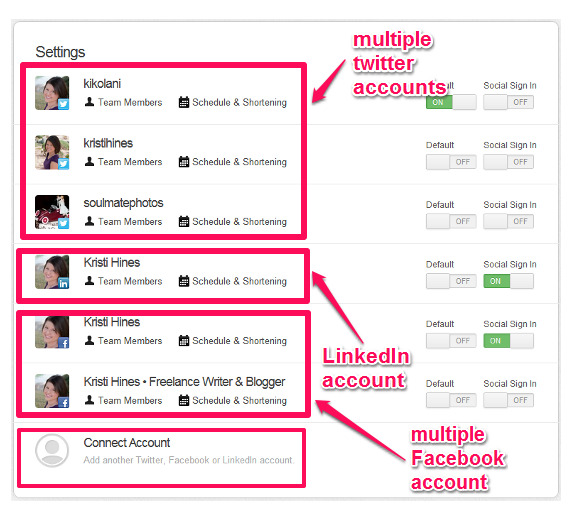 The best thing about Buffer is that you actually can manage multiple accounts from your dashboard. That’s what is really useful when you try to reach out to your users from various platforms. Of course, it won’t do ALL the job for you. While posting automatically whatever you scheduled, Buffer won’t answer the questions of your users. So don’t forget this part and better make this manual communication and building relationship a priority. This tool is another assistant, but now for gathering important insights from your audience’s actions. So basically, not every project has enough budget and personnel to cover different aspects of online marketing. But with the right tool, you can do quite OK and have fun operating online marketing of the company by yourself. To understand where to go and how to behave in the market, you need to measure the actual results first. Sumall will help you gather this useful stats on the daily basis to further deploy in a content marketing strategy, attract qualified leads and grow the revenues of the company. All you need is to sign up, select all the social media and eCommerce platforms you use for commercial reasons. And that’s it. Next time you log into Sumall, you’ll see the analytics holding different insights of how your audience behaves, what prefers and when it’s the most active. 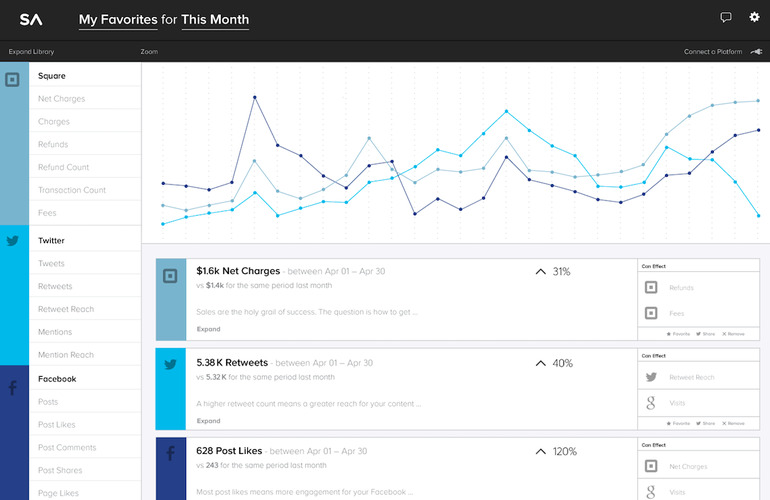 This content marketing platform can make you Big Brother watching how everybody behaves. Based on this information – schedule your posts, modify approach, test out new formats, observe and adapt to your audience’s needs. 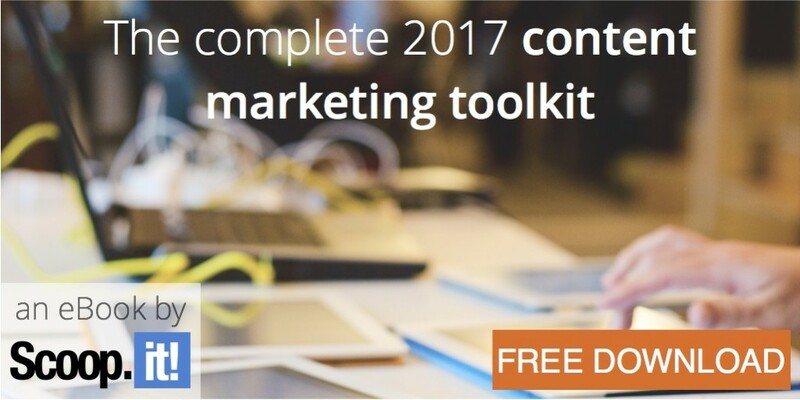 This one-and-done tool is also listed amongst the best content marketing apps. And it has to do with your visuals – making those following your message clearly. So again, going back to the importance of content (quality content) delivered to your audience, visuals are crucial. I cannot say enough of good words about a nice pic describing the idea of the paper. After all, every reader perceives information in his or her own peculiar way. Some prefer reading and imagining the idea, others will prefer to listen (read out) and the rest of your visitors will go through the images to get the point of the post. Obviously, it’s important to take into consideration all the chunks of your audience and adjust the content. And illustrations will always help with that. Skitch is one of the Evernote programs, a screenshot capturing application, which basically helps you add your visuals to the blog post in the matter of clicks. A solid expert article always includes a complementing picture with explanations, comments, underlinings, arrows, etc. Just pay attention to the previous images on this post – these are created with Skitch. It makes capturing screenshots and adding some more annotations, lines, circles onto these so much easier than your usual print screen technique. When it comes to creating some unique visual pieces from scratch and you got no designer in your team, no worries. There is a number of really good (and free!) graphic designers out there, that will help you craft whatever you want starting from the table, to any graph, infographic or a map. So Canva is a good all-in-one choice to deal with the design side of blogging. Just FYI: Canva Design School research claims that the article which has 1 picture per every 75 to 100 words gets shared the most. Quite vocal indeed. Now we’re at the posting stage of your content and it’s important to draw up the article the way it really appeals to your audience. The technical side of this question is about coding. Yeah, as simple and difficult as that. HTML layout is the tool for your good looking article on the website. Of course, you can do it manually each time, but even so, you need to double-check it by machine. And here comes the other content marketing app called Word2CleanHTML. Usually, when you copy a ready-to-go article into the WordPress platform, it will get some extra spaces, broken links or unknown unneeded characters you never asked for. And you have to spend time cleaning all that stuff from the post. That’s too time-consuming. Word2CleanHTML is your superhero here! You simply paste your plain text article and get a clean HTML code ready for WordPress. As easy as that. 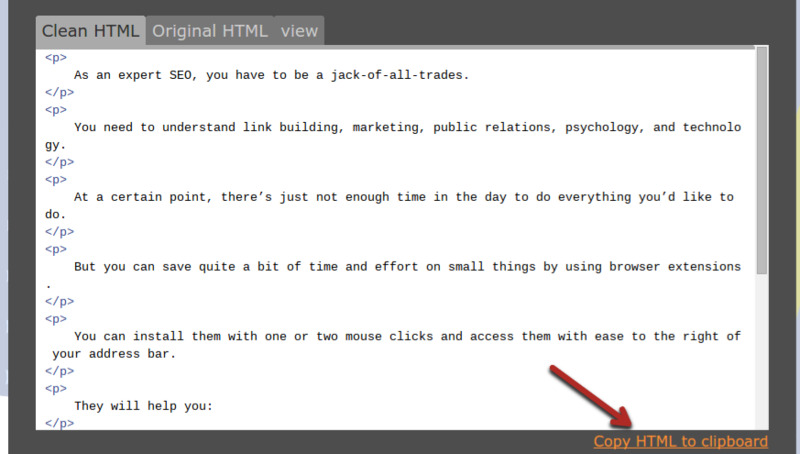 Now copy your sorted HTML and paste onto the WordPress. Save. Post. Voila! Over the years of online commerce quality content became the major way to engage qualified leads to your business whatever it is. So here you have it – your TOP 5 apps for marketers to save you time without a compromise on quality. Veronica Hunt is a young mom and an experienced content marketer from Philadelphia, PA. As a professional blogger, she sees her purpose in providing people with up-to- date info in the spheres of digital marketing, social media and psychology. Apart from work, Veronica adores traveling and yoga. You may find her recent posts on JeffBullas.com, Business2Community.com, PRDaily.com or follow @VeronicaHuntt on Twitter.